That puts us more than two-thirds of the way to the warming limit of 1.5 degrees Celsius that was set in the Paris climate agreement. The average global temperature has risen about 2 degrees Fahrenheit, or a little over 1 degree Celsius, since the 1880s. In separate analyses of global temperatures, scientists from NASA, the United Kingdom Met Office and the World Meteorological Organizationoffsite link also reached the same heat ranking. 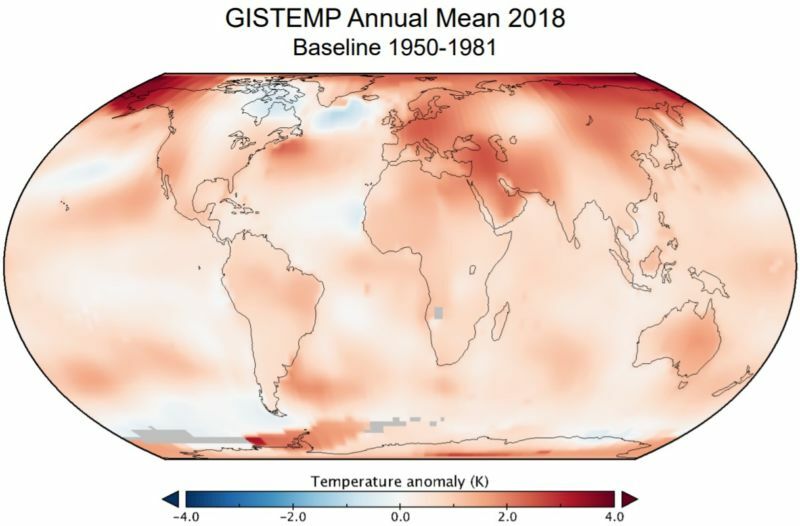 This marks the 42nd consecutive year (since 1977) with an above-average global temperature.